Leopold's Ice Cream / Scrapbook / From our team / WINNERS ANNOUNCED IN THE SIXTH ANNUAL LEOPOLD’S ICE CREAM CREATIVE WRITING CHALLENGE! 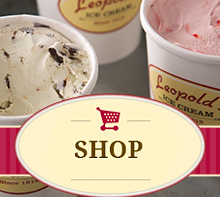 WINNERS ANNOUNCED IN THE SIXTH ANNUAL LEOPOLD’S ICE CREAM CREATIVE WRITING CHALLENGE! All winners and finalists have been invited to read their poems at the Savannah City Council Meeting on Thursday, April 28th at 2pm in the Council Chambers, 2nd Floor of City Hall. This meeting is open to the public and everyone is welcome. Savannah Government Television Channel 8 broadcasts Council Meetings live at 2 p.m. on the day of the meeting. Same-day replay of the meeting is at 7 p.m. and 11 p.m. Each of the first place winners will receive an ice cream party for their class, finalists will each receive a special gift certificate for Leopold’s Ice Cream. Stratton & Mary Leopold, longtime advocates of literacy and fostering creative energy in our youth, have hosted the annual competition, in conjunction with the Live Oak Public Libraries, since 2011. Future plans include the creation of a similar challenges for students across the United States!